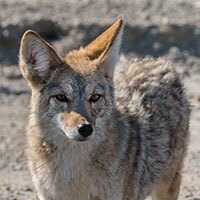 Wildlife Removal Services can help with coyote control, removal and prevention. Wildlife Removal Services is the leader in San Diego county coyote control. We are specialists in the trapping and removal of nuisance coyotes, and are certified dealer-installers of the leading coyote prevention device, the “Coyote Roller”. We have helped many customers across San Diego County including homeowners and HOA property managers alike. As San Diego grows so do the issues with coyotes. Nuisance coyotes have become a common problem. Coyotes are moving into more urban settings, living in surrounding canyons, and encroaching on residence’s backyards. Coyotes typically are looking for food sources such as rabbits, squirrels, skunks, or small rodents. But as crafty hunters they will quickly take advantage of an unsuspecting pet that may be left alone in the backyard. Coyotes can easily jump a 5’ fence and can scale over a fence 6’ high leaving most backyards open to coyotes. 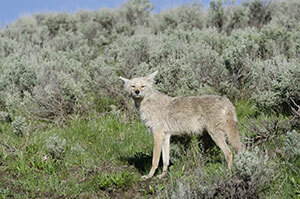 But with proper local coyote control and prevention customers can alleviate many problems associated with coyotes. Call the animal control experts at Wildlife Removal Services, today! Read more about the Coyote Roller, a system that prevents Coyotes from leaping over your fence.